A fresh, vegan salad made with seasonal vegetables and joint supporting oils. Enjoy with an 'Indian Summer' barbecue, as lunch or as a side dish to Taifun sausages or tofu. 1. 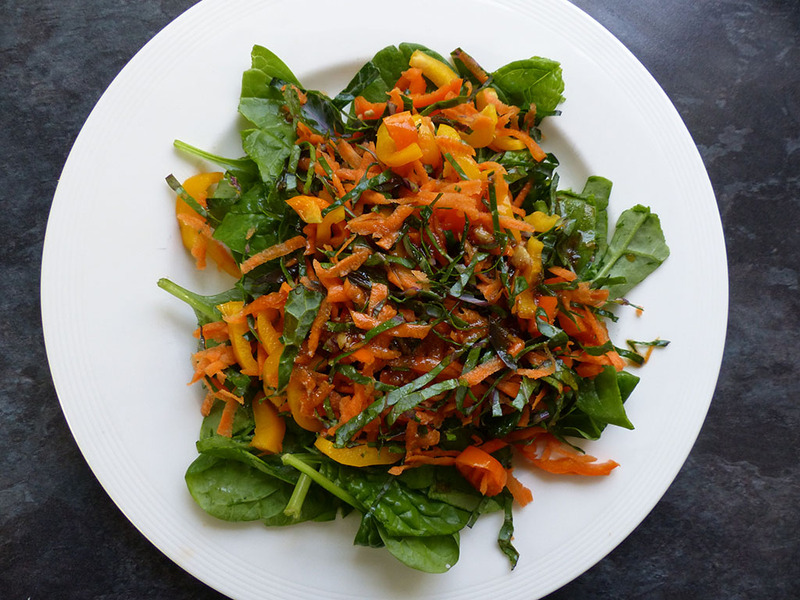 Prepare the salad by shredding the cabbage, grating the carrot, finely chopping the pepper, and adding to the whole baby spinach leaves and parsley. Toss the salad well, and serve. 2. Prepare the dressing in a small bowl. Finely chop the garlic, add a pinch of salt and all the other wet ingredients.